Do you Always envy people that seem to speak in other languages as if it were very easy? In reality, learning a new language can be tough and at times even frustrating. Especially the start can be difficult. But let me tell you: it is worth all the trouble. Especially learning Spanish can be mind-opening! Learning a new language brings many advantages to it! And if you study a new language in the country where it is the native tongue, like in Peru, it can become a whole game-changer – and not only for your language abilities! Being bilingual opens doors and creates opportunities that do not exist for a monolingual. In this blog, we have listed 7 Reasons to Learn Spanish This Year. Will they convince you to make learning Spanish a priority for this year? 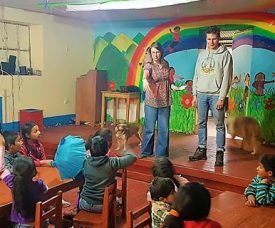 What do our volunteers in Peru say about their experience? 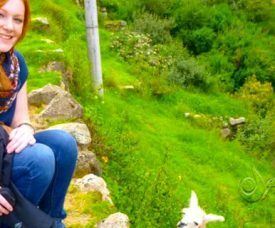 “Volunteering in Peru and learning Spanish at AMAUTA in Cusco was a great experience. There are lots of Spanish schools here in Cusco, that’s true. But no Spanish school in Cusco is like AMAUTA!